This season we are using a number of venues. Most meetings are held in the St Ann's Centre, View Road. Other venues are indicated where appropriate. Speaker meetings start at 7.30pm. There is no charge and meetings are open to all, members and non-members. There is free parking and level access at all the places we are using..
Click on the grey panels for more information on some of the topics. A walk to Pex Hill through the Green Belt. Meet at Manor Farm car park, Mill Lane. Family, friends and dogs on leads welcome. Presentations to winners of Rainhill in Bloom and a talk on The Beatles. Peter Elson will tell us things we may never have known about the famous group. Noel Chavasse, twin son of the Bishop of Liverpool, was awarded the Victoria Cross twice during WW1. Bill Sergeant, from the Noel Chavasse VC Memorial Association, will tell us about this local hero. This is Wikipedia's entry about him. Saturday, November 10th , 7-30pm at the Ex-Services Club. A concert to mark the Hundredth Anniversary of the end of World War One – Tickets will be available in September. Entertainment by the Parr Band and Rainhill Hi Notes Choir and words of the wounded soldiers at a Rainhill VAD Hospital who wrote in Nurse Lidstone’s Autograph Book. Wednesday. March 20th 2019, 10am to 4pm. Two history workshops led by Alan Crosby. His subject is ‘Rainhill and district on the eve of the railway age.’ Venue and cost will be confirmed. Contact Judy Lowe to reserve a place 0151 426 2583. It is not necessary to attend both courses. Tuesday, December 4th, 7.30pm at Rainhill Recreation Club. The Tim Parry Johnathan Ball Peace Foundation. A speaker from Warrington Peace Centre will tell us about the valuable work of this organisation. Visit the Foundation's web site. “Anecdotes of a Liverpool Registrar”. Carole Codd will give an entertaining talk about her experiences as a Registrar of Births Marriages and Deaths. Light-hearted Quiz. Bring your friends. Teams of up to six people. Small charge. Change of venue. 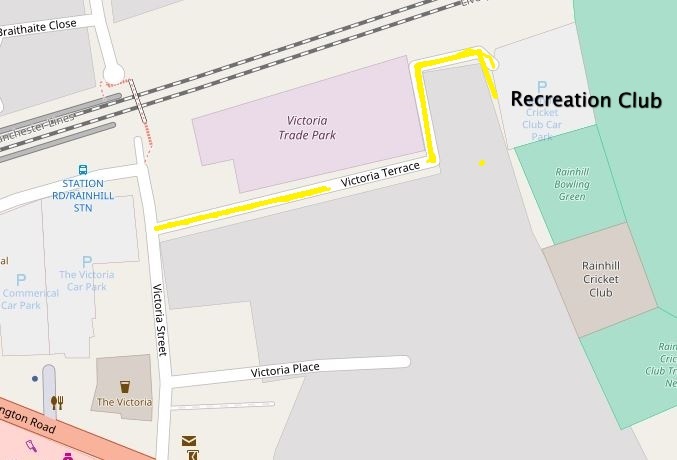 The quiz will take place at the Recreation Club, Victoria Terrace. Annual General Meeting. A round-up of the Society’s activities during the past 12 months and a report on our new ‘gardening club’ project. Members of the Society also organise the monthly "Rainhill Remembered" sessions. Details here.